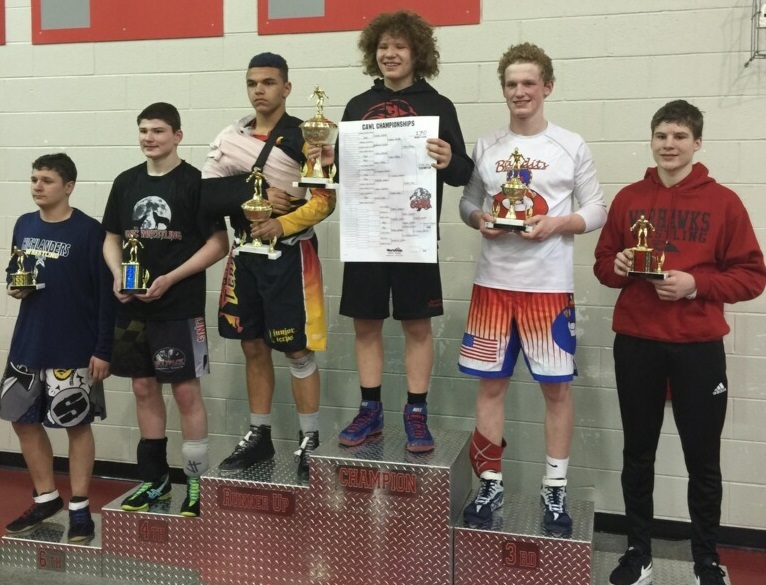 Warrenton, VA. 3/6/2016 - On Sunday, March 6th the Capital Area Wrestling League - CAWL ended the season with the final Championship tournament hosted by team Fauquier. A thirteen team event that placed seeded wresters in a 16-man bracket while hosting the event with four mats on the gym floor. Team Fauquier place eleventh and wrestled hard to earn three placers out of ten wrestlers at this season ending championship. 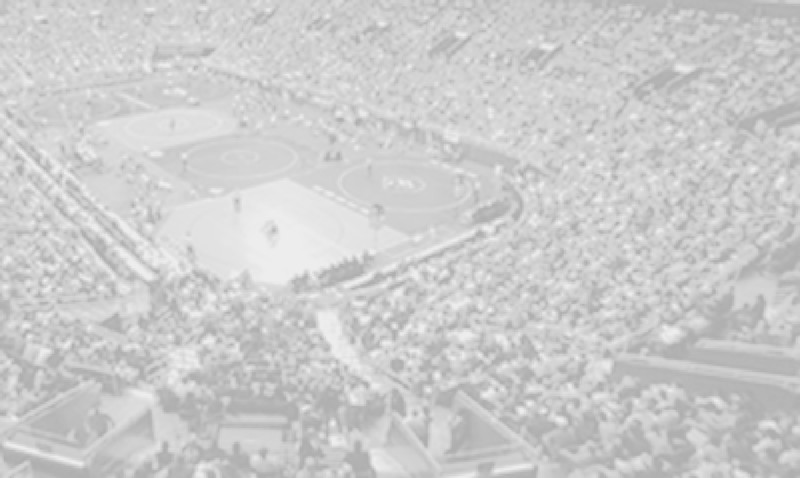 The CAWL is a travel team wresting league in the Washington DC metropolitan area that begins in November and goes through March with teams ranging from Virginia to Maryland. As this youth club teams help to train and prepare kids for high school wrestling, most clubs have clubs do have ties to a high school wrestling program. The weight classes range from 50 pounds to heavyweight for a total of 19 weight classes. 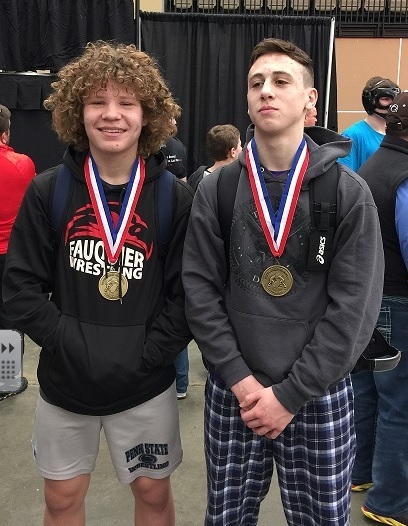 The three Fauquier wrestlers that placed were 80 pounds Reece Kuhns, 95 pounds Gino Camarca, and 170 pounds Sam Fisher as they all were able to win their first round matches. Sam Fisher the team leader ended up winning all of his matches and taking first place in the 2016 CAWL Championships. It's also been six years since team Fauquier has had a CAWL Champion. Reece Kuhns who went 4-3 lost his 7th placement match to Clayton Gabrielson (SMWC). Kuhns had three pins on the day earning 12 team points for an 8th place finish. Gino Camarca wnet 3-3 and also lost his 7th placement match to Nicholas Banks (B&O 2). Camarca earned a pin for team Fauquier while posting seven team points for the team and also an 8th place finish. Camarca will be a freshmen next school year in high school and is the younger brother of Franco who is currently on the high school team. Sam Fisher was the only Fauquier wrestler for the team to win his Championship Semi-Finals match and advanced to the CAWL Finals. Fisher won his Semi-Final match over Charlie O`Connor from the Bandits with an 8-1 decision. This win advanced Sam Fisher onto the CAWL Finals for the second year in a row where he earned a second place finish in 2015. Fisher ended up facing Mikey Keen from the Cobras in the CAWL finals as Fisher won the match between the two earlier in the regular season. It did not take Fisher long to go ahead 2-0 with a quick takedown in the first period. Sam rode Mikey the remaining of the first period. Sam chose bottom in the second and about midway in the period got a reversal, but during the action, Keen's right shoulder became hurt and the match was stopped. Keen was unable to continue and Sam Fisher won the CAWL Finals by injury default.